Unachievable and illusory beauty standards have been plaguing generations of women, (and men) for a long time now. The question is, has the new role of social media helped or hindered a cause which ultimately constricts and capitalises on women? Women who may not necessarily fit the ‘traditional’ standards of beauty, are now using social media as a platform to embrace their difference, and encourage others to do the same. By putting themselves out there, they are changing a beauty dialogue that has for so long favoured a very small percentage of people. Their voices and actions are encouraging positivity and self- confidence- and their quick rise to fame shows that the world is ready and waiting for a new conversation. Winnie Harlow was spotted by Tyra Banks on Instagram- and picked to enter America’s Next Top Model. 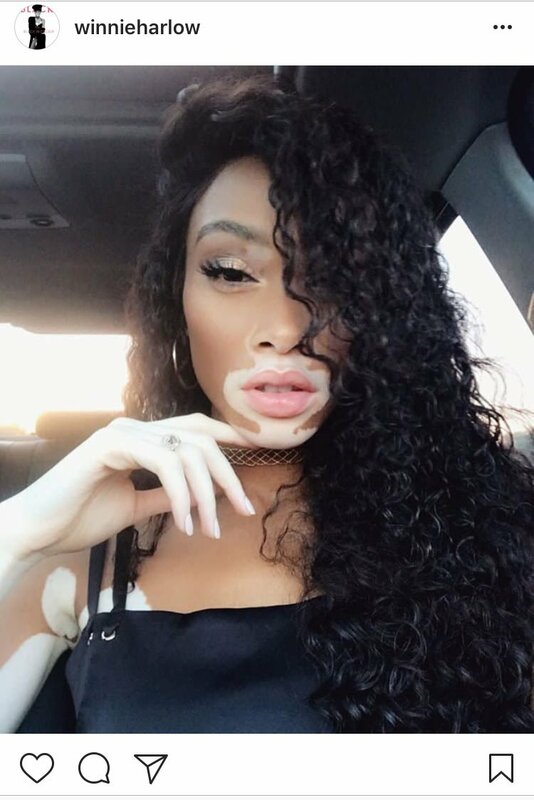 Having been diagnosed with skin condition vitiligo at an early age, her success and the love she’s getting indicates a welcome breakdown in what is considered beautiful. 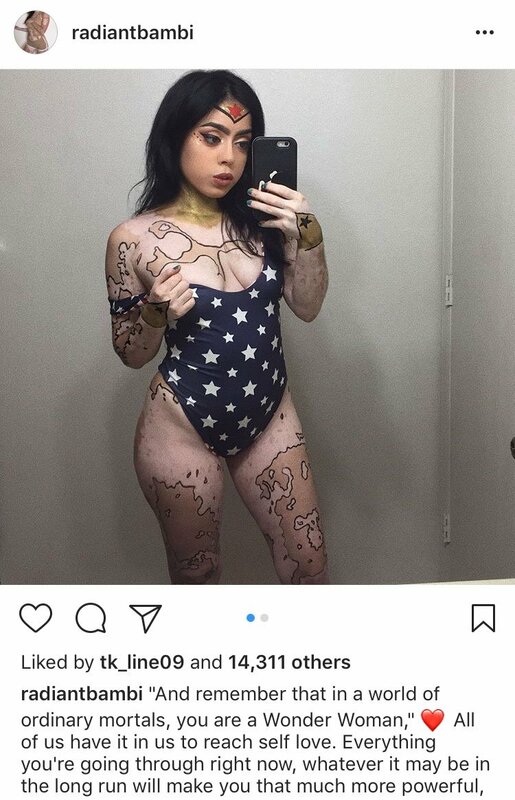 Instagram star Ashley Soto has similarly embraced her vitiligo and now transforms it into beautiful body art. 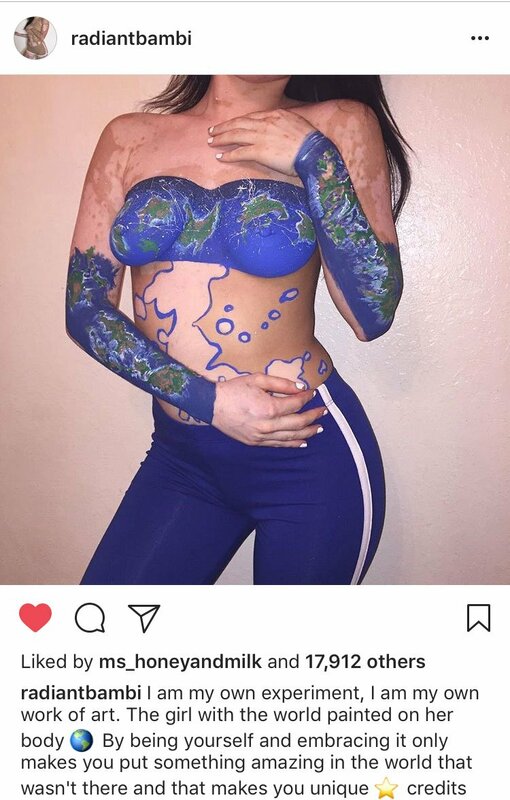 Drawing the outline of a world map, or creating images akin to Van Gogh’s ‘Starry Night’; both of these women are using their look and skills, to take the world by storm and encourage others to not let anything hold them back. Diandra Forrest was the first female albino model to be signed by a major agency. 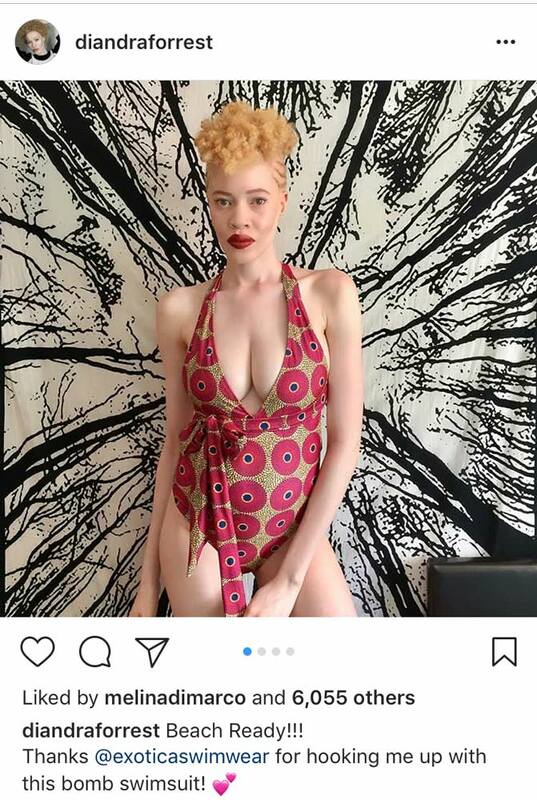 By having representatives such as Diandra in the modelling industry, the unique beauty of albinism is given the positive affirmation and awareness. 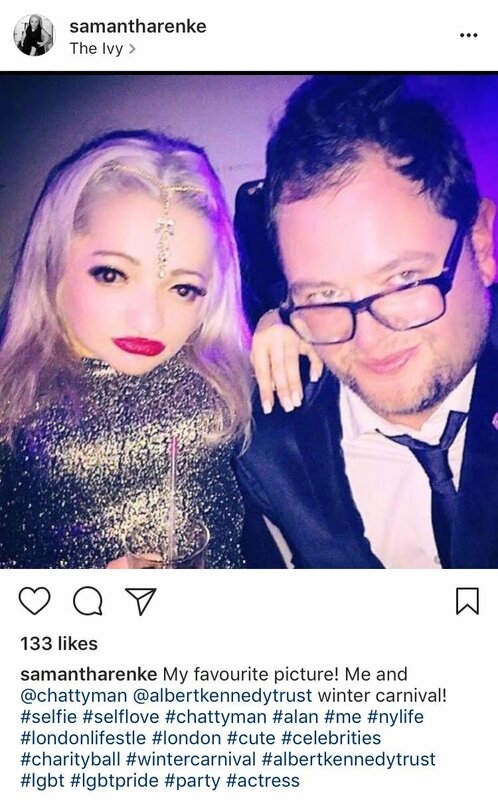 She works tirelessly to mentor young people with albinism, encouraging them to see their albinism as a beautiful and unique thing. 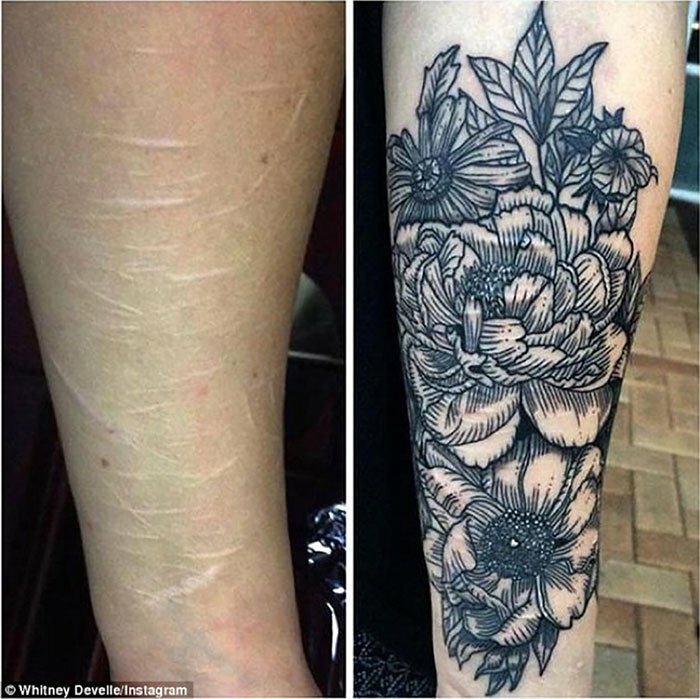 Whitney Develle, a Brisbane tattoo artist offered to help a friend cover self-harm scars with a free tattoo. 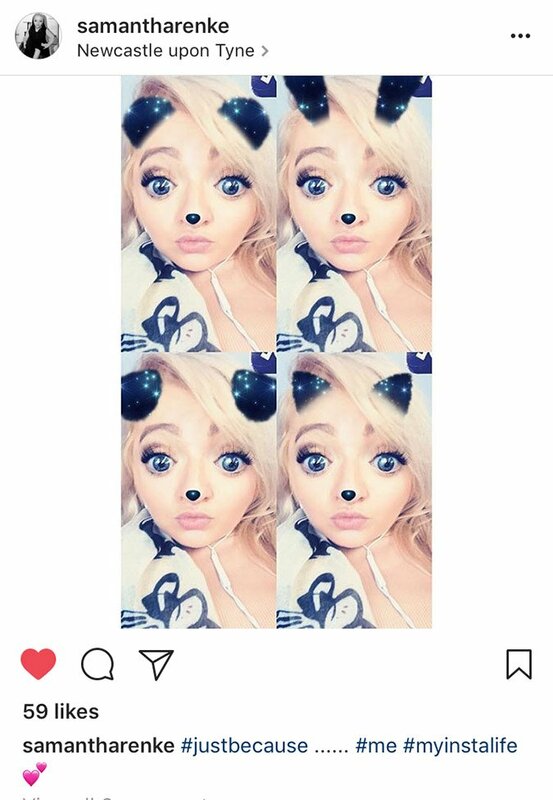 Her act of kindness had such a positive effect, she took to social media and offered to cover anyone’s scars for free. 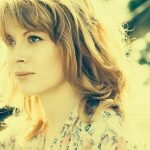 Her offer blew up, and she was inundated with requests from previous self-harm sufferers wanting to turn their scars into something beautiful. You may have seen Kelly in our most recent body and soul issue. 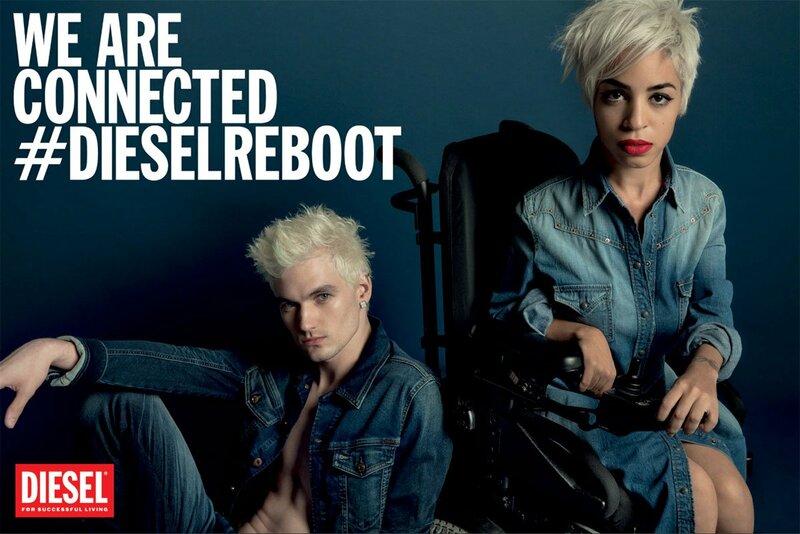 She is the UK’s leading disabled fashion model; being born with only one hand did not stop her achieving her dreams and fighting for diversity and broader representation within the fashion industry. Refusing to wear a prosthetic arm since the age of seven, she embraces and accepts her disability in a way that can educate and inspire so many. Check out her beautiful shots out in our issue #3! Jillian is a force to be reckoned with. Having the condition muscle dystrophy and having to use an electric wheelchair since the age of 12 has not stopped her breaking down the battlements of high fashion. 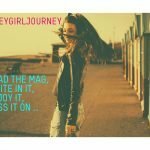 Working as a freelance fashion blogger and editor, Jilly was already fashion forward, but it was her response to Diesel’s call on social media for “modern day rebels, heroes, and just cool people” that landed her the Diesel campaign. YES! !